Anaheim, CA. (THE WIRE PRESS) – Hampton Inn & Suites by Hilton Anaheim Garden Grove welcomes the 41st Annual International Trumpet Guild Conference to Anaheim this May and June. The conference is being held at the Hyatt Regency Orange County from Tuesday, May 31st through Saturday, June 4th. ITG 2016 will be celebrating legendary players from the Pacific Rim and beyond, making this conference not one to miss! Players from the USA, Taiwan, Japan, Mexico, Thailand, the Philippines, Italy, Australia, France, Belgium, Russia, Cuba, Israel, the UK and beyond will come together for this monumental conference. Ticket prices range, from concert-only attendees to full conference attendees. For information, please visit https://itgconference.org/. Hampton Inn & Suites Anaheim Garden Grove, located right down Harbor Blvd from the Hyatt Regency Orange County, offers guests award-winning service, generous amenities and comfortable guest rooms for a low price. The 172-room hotel offers free daily breakfast, heated outdoor pool, shuttle service to and from Disneyland® for a small fee, complimentary Wi-Fi throughout the hotel and much more. The Hampton Inn & Suites Anaheim offers king and queen rooms, suites and accessible rooms, all available upon request, based on availability. 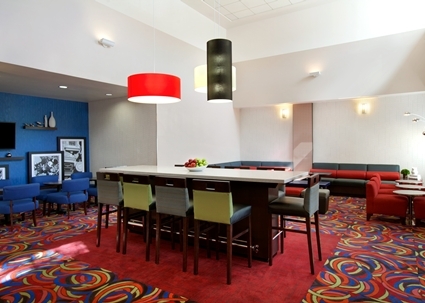 The Hampton Inn & Suites by Hilton Anaheim Garden Grove hotel is proudly managed by Stonebridge Companies in Denver, Colo.